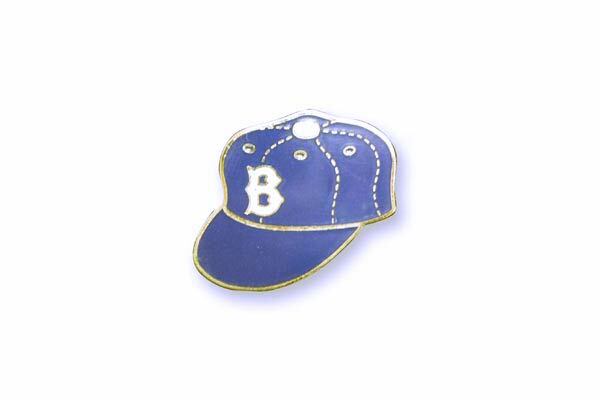 The Dodgers won a team-record 105 games and had a powerful offensive attack, led by National League MVP catcher Roy Campanella with his 41 home runs and 142 RBI. His home run and RBI totals established a major league record for a catcher, as he won his second MVP award in three seasons. Center fielder Duke Snider paced the Dodgers with 42 home runs and was one of six Dodger players to score over 100 runs. Carl Furillo had the top N.L. batting average at .344, to complement his 21 home runs and 92 RBI. Jim Gilliam was named N.L. Rookie of the Year with his 100 walks and 125 runs scored. Carl Erskine was 20-6 with 3 saves and a 3.54 ERA, while leading the league in winning percentage at .769. Russ Meyer finished with a 15-5 record, while Billy Loes was 14-8, Preacher Roe was 11-3 and rookie Johnny Podres was 9-4. Moved to the outfield for 76 games, Jackie Robinson hit .329 and drove in 95 runs. With their powerful lineup, the Dodgers homered in 24 straight games. The Dodgers captured the National League Pennant, finishing 13 games ahead of second-place Milwaukee. It was the first time that a National League team repeated as pennant-winner since the 1944 St. Louis Cardinals. The Dodgers, though, would once again face the tough New York Yankees, who had won nine of their first 11 games, had an 18-game winning streak in May and captured the American League Pennant by 8 1/2 games over Cleveland. 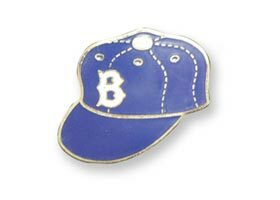 But, as in the past meetings, the familiar Dodgers vs. Yankees match-up in the World Series turned sour for the Brooklyn faithful. The Dodgers still could not figure out the mystique of the Yankees, losing in six Series games. The Yankees won Game 1, 9-5, as Erskine was knocked out of the game after just one inning and the Bronx Bombers with four runs in the bank. The Dodgers scratched and clawed their way back to tie the score 5-5 in the top of the seventh inning and tried to score more runs, but twice the lead runner was gunned down by catcher Yogi Berra on sacrifice bunt attempts. The Yankees scored one in the seventh and three more runs in the eighth to wrap up the game. With the Dodgers leading 2-1 in Game 2, Billy Martin hit a game-tying homer in the last of the seventh inning and Mickey Mantle drilled a two-run shot in the eighth to put the game away, 4-2. Prior to Game 3 at Ebbets Field, trailing by two games, Campanella and Robinson called for a special 10 a.m. batting practice. It seemed to help, as the Dodgers had nine hits. Robinson doubled in the sixth, scoring on a squeeze bunt after a balk had advanced him to third. The real story of the game, though, was Erskine's masterpiece performance. He struck out a new Series record 14 batters, including Mantle four times, and won, 3-2. Erskine shattered Howard Ehmke's 1929 World Series record of 13 strikeouts for Philadelphia (A.L.). It so happened that Ehmke and his wife were listening to the Dodger game while driving in the country. They were so interested in the outcome, they didn't want to turn their car's engine off and the battery eventually died. Left stranded, Ehmke still thought it was worth listening to the demise of his record. Campanella, who broke his right pinky finger in Game 1, hit an eighth-inning home run to put the Dodgers ahead for good. The Dodgers won Game 4, 7-3, led by Snider's home run, pair of doubles and four RBI. Leadoff batter Gilliam had three doubles and drove in two runs. Pitcher Billy Loes had a strong outing, going eight innings, striking out eight and giving up three earned runs. In the ninth inning, the Yanks loaded the bases and scored one run on a single by Mantle. But, as Martin tried to score from second base trailing by four runs, he was tagged out by Campanella to end the game. Martin was upset that Campy had forcefully applied the tag, but Campy thought Martin tried to run him over and simply felt he did his job as catcher. 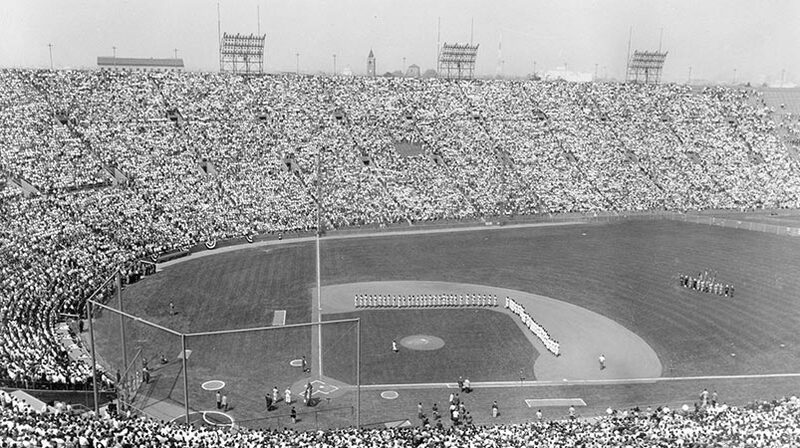 In Game 5, the Yankees beat the Dodgers, 11-7 at Ebbets Field, scoring five runs in the third and three in the seventh. 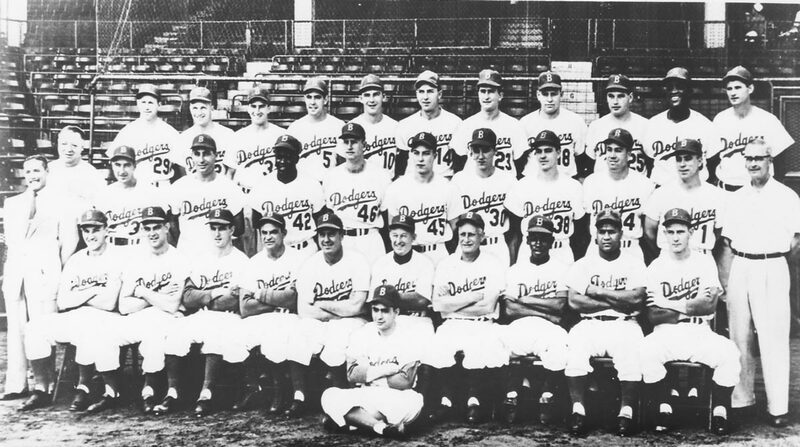 The game featured a Series record six home runs, including two by the Dodgers (Gilliam and Billy Cox). In Game 6 at Yankee Stadium, New York's Whitey Ford and Allie Reynolds combined to beat the Dodgers, 4-3. The Yankees got three runs off Erskine in the first two innings, but the Dodgers battled back to tie the score in the ninth, as Furillo belted a two-run home run. But in the bottom of the ninth off Clem Labine, the Yankees got a walk to Hank Bauer and an infield single by Mantle to set the table for Martin's hit through the box to drive in the winning run. 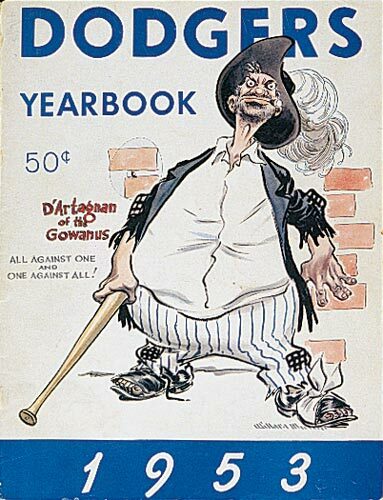 It was the fifth consecutive World Championship by the Yankees, guided by former Dodger Manager Casey Stengel (1934-36). After the season, Dodger Manager Dressen wrote a letter to Walter O'Malley demanding a three-year contract. The letter had been drafted by Dressen's wife Ruth. As it was against Brooklyn's standing policy to offer an agreement beyond one-year, O'Malley returned the letter and asked Dressen to reconsider. 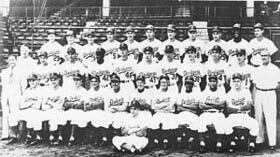 When Dressen insisted, O'Malley decided to go a different direction, instead proceeding to hire strong baseball and organizational man Walter Alston as new manager on Nov. 24, 1953. Alston would manage the Dodgers for the next 23 seasons, all on one-year contracts. 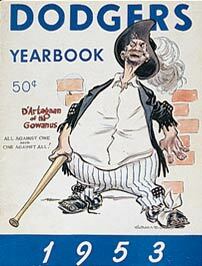 Click image for a larger view1953 Dodger YearbookCopyright © Los Angeles Dodgers, Inc.
Click image for a larger view1953 DodgersCopyright © Los Angeles Dodgers, Inc.